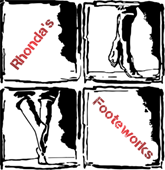 Welcome to Rhonda's Footeworks! Please complete the following registration form. As parent/legal guardian, I hereby consent that my child may participate in Rhonda's FooteWorks Dance and Tumbling Programs. I recognize that potentially severe injuries can occur in any activity involving motion. I understand that it is the express intent of Rhonda's FooteWorks to provide for the safety and protection of my child. In consideration for allowing my child to use this facility, I hereby forever release Rhonda's FooteWorks, its owner, instructors, demonstrators, coaches, and desk attendants from all liability for any and all damages and injuries suffered by my child while under the instruction, supervision or control of Rhonda's FooteWorks personnel. As legal guardian of the student mentioned above, I hereby agree to individually provide for the possible future medical expenses which may be incurred by my child as a result of any injury sustained while training at, or performing for, Rhonda's FooteWorks. This acknowledgement of risk and waiver of liability, having been read thoroughly and understood completely, is signed voluntarily as to its content and intent. (This is active for one year from date signed). I also allow Rhonda's FooteWorks to use photos and videos of my studio as related to the dance studio on social media and for advertising purposes. I realize that this is a binding contract. I am responsible to pay tuition, late fees, costume fees and purchase accessories for performances as per calendar. If my dancer does not fulfill the contract for any reason, I understand that I am responsible to pay a $65.00 disenroll fee. I release Rhonda Foote and all Independent Contractors instructing at the studio of all medical or related emergency situations that may occur in the studio, lobby, or related area of dance study.